Smartphone makers are doing all they can to come up with the next best thing and until now, each attempt was designed to put more of the best technology in a single device. But there is only so much you can put in a form factor as small as a smartphone. The new approach by LG takes a step back and deploys devices that specialize in one particular aspect of smartphone technology above all others. 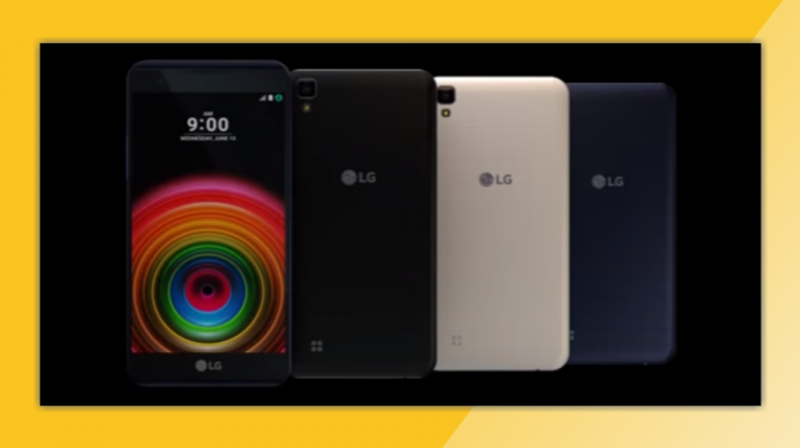 The four new LG X phones are part of a series the company launched earlier this year. The first two phones, the X Cam and X Screen focused, as the names suggests, on the camera and screen. This time around the new phones called X Power, X Mach, X Style and X Max also focus on different components. The new X series phones share many of the base specs of LG’s flagship G and V series handsets, but they add on the specialized features. The information LG made available on these phones is very limited, so we will have to wait until they are released later this month to find out the exact specifications. The price and availability for each device will be announced locally in each market. This phone has one of the largest battery capacities of any smartphone on a slim 7.99mm body with 4,100mAh (Samsung Edge 7 has 3600 mAh and the Apple iPhone 6 Plus has 2915 mAh). So the power is considerably more than the top brands in the segment. Additionally, LG said the company’s fast charging (PE+) technology allows the X Power to be charged twice as fast. The X Mach is built for speed and performance, with support for LTE Cat. 9 3CA for faster data transfer and a 1.8GHz processor to manage power intensive applications. It also has a QHD IPS Quantum display, a curved form factor and a large 1.55m sensor camera. According to LG, the X Style differentiates itself with curving lines, extra-slim body, and a large display. It is made to consume multimedia content. LG has provided even less information for the X Max than for the other three phones, with the company saying only that it has a “Large display” — but the size of the screen hasn’t been made available either. LG doesn’t even appear on the list of “Top Five Smartphone Vendors, Shipments, Market Share and Year-Over-Year Growth, Q1 2016 Preliminary Data” by IDC. How will the company’s strategy pan out as most other manufacturers adopt a more-is-better approach for their devices? The company might find an audience with small businesses that need the specific technologies the X series of phones bring. Still a full set of specs and more importantly a menu of prices must be available before business owners can know if the phones are worthwhile.